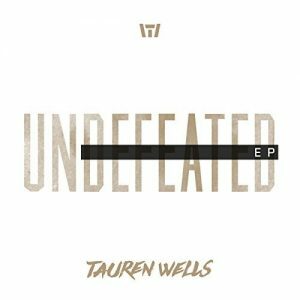 Click on the video interview below to hear Tauren Wells share the full story and meaning behind this track, and scroll down to listen and read the full lyrics of the song. From the album Undefeated EP. No matter where I am – healing is in Your hands .. ..
O compassionate God of the hills and the valleys, I praise You that as I draw near to You , You are already near to me! You are indeed are The One True Living God- The One Who has kept me and keeps me through Hills and the Valleys as I sojourn on – in Your strength, by the resurrection power of the Holy Spirit living in me. OH ! , so greatful that You’ve taught me on this narrow way that trials, temptations , adversity and suffering is a bridge to a deeper, and more intimate relationship with You , which in tern grows my trust, sole dependence and faith in You. Thank You for being my God, the only the God who never leaves me alone . The God of the Hills and the Valleys! YES! Blessed be YOUR HOLY NAME, LORD JESUS! Our God bless you, brother – continue using every living , moving and being of your gift – for His gkory! What a joyous song – one of transparency/ , encouragement in the faith, truth and the glory given to our Father- who through the Love given us – through the finished work of Christ on the cross atoning for our sins – through The shedding of His precious blood, WE HAVE AN ALL SUFFICIENT GRACE WHICH COVER US . And through THIS INVALUABLE, IMMEASURABLE GRACE- administered to us by the Holy Spirit , no matter where we are… HE IS WITH US!